Successfully Added Ken Xin Da Proofing W3 Rugged Phone - IP68 Rating, Dual SIM, Quad Band GSM, Micro SD Card Slot to your Shopping Cart. The Ken Xin Da Proofing W3 phone is a budget phone with a big reputation. This rugged device is part of Ken Xin Da’s Proofing range and is designed to withstand accidental falls, extremes of temperature as well as submersion in water and sealed from dirt ingress. 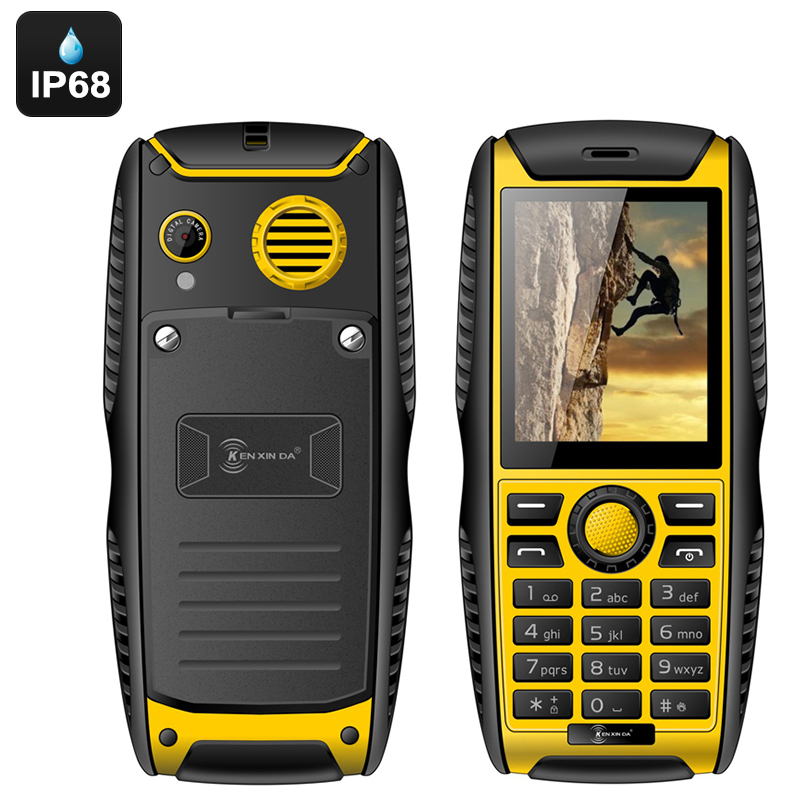 With its IP68 rating this device stands up well to all the nature could throw at it so taking it on your back packing trip or your whitewater rafting adventure shouldn’t be a problem. The rear of the phone can’t accidently come undone, and requires the use of a screwdriver or the small case key supplied. This makes sure that it remains fully sealed and water tight protecting the inner workings of this compact action phone. Thanks to the double SIM card slots you can insert multiple SIM cards into this phone meaning you don't have to keep swapping out cards when you go travelling or if you want to use the phone for work as well as personal contacts. With each SIM slot supporting quad band GSM frequencies it has compressive network coverage. The phone includes a handy flashlight and has a super loud built in speaker so you won’t miss any calls or messages. With a 2000mAh battery you can enjoy up to 89 hours of continues talk time or up to 320 hours in standby. An FM Radio function as well as micro SD card slot let you load and play music onto the phone which is a great way to keep motivates and entertained on long journeys. The Ken Xin Da W3 Proofing phone comes with a 12 months warranty. Brought to you by the leader in electronic devices as well as wholesale rugged phones..